Carpet cleaning is an important routine that you must never miss. Dirt hides in the deepest fiber of the materials and is an important contributor in the shelf life of your investment. Because constant changing of your carpet is expensive, you have to take care of it to save money. Many manufacturers recommend different ways of cleaning it. You can choose to use the vacuum type or use chemical agents. What is important is you keep it clean at all times. Here are a few benefits you get in carpet cleaning in Hoover, AL. So, if these benefits sound like something you want to take advantage of real soon, give us a call at 205-618-9150. 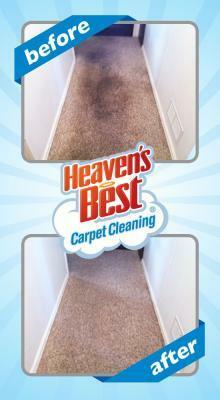 Heaven’s Best Carpet Cleaning will help you get on track to these awesome Benefits of Carpet Cleaning so that you can get back to the things that matter most.